AAA Military is a division of the group AAA, specialized in Sea, Air and Land (SAL) military services, with its headquarters in Paris, France. AAA Military covers a large number of activities contributing to maintenance, technical assistance and trainings. The support system is designed to maximize the operational availability, the ease of maintenance and implementation as well as the lifespan of the equipment. As part of those, AAA Military offers customized support services aimed at conducting operations, instructing and training pilots, operators, handlers and technicians, implementing military equipment and their maintenance. These provisions of support services may be offered under the framework of Maintenance in Operational Condition (MOC) contracts which guarantee customers equipment availability rates and deadlines. AAA Military set up dedicated organizational structures adapted to users in order to support them throughout the operational life of aircraft, offering supervision of work and consulting of processes and strategic decisions. Constituted of both international and local experts, those structures ensure optimal cost and quality of our services. Discover AAA Training Center and our services in our new presentation below. For more than 15 years AAA Training Center has been at your service. Our job consists in designing training courses focused and performing while enhancing the skills of your teams. Our international presence and our partnerships with the biggest aircraft manufacturers and temporary work agencies are the proof of our know-how. 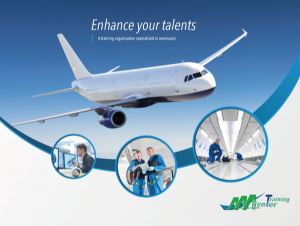 As a member of the group AAA, leader in aeronautical production throughout the world for more than 25 years, AAA Training Center ensure a quality service. By placing people at the heart of the training courses, we design customised training around their skills and needs defined beforehand. Our objective : Follow your teams to reach success in your project. AAA Maintenance Services is a division of the group AAA, specialized in maintenance activities, with its headquarters in Toulouse, France. 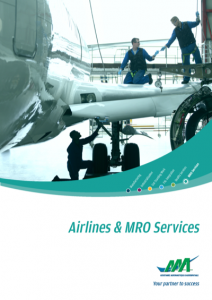 More information on our MRO services and AAA Maintenance Services contact by downloading AAA MRO brochure. 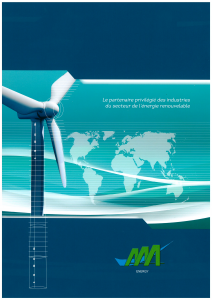 AAA Energy is a division of the group AAA, specialized in wind turbines industry services, with its headquarters in Montoir-de-Bretagne, near the cities of Nantes and Saint-Nazaire in France. You may find your main contact at AAA Energy in the following brochure. Please note that due to the fact our main activity is in France, information in the brochure are displayed in French only. You may contact Claire LACHAT (address & phone number in the brochure) for specific information in English. AAA Marine is a division of the group AAA, specialized in shipbuilding industry services, with its headquarters in Montoir-de-Bretagne, near the cities of Nantes and Saint-Nazaire in France. 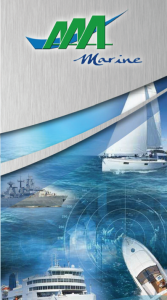 AAA Marine covers a large number of activities contributing to production support, manufacturing engineering, maintenance, technical assistance, quality inspection and retrofit. As part of those, AAA Marine offers customized support services performed by our teams of electrical, electronical, mechanical & structural technicians, carpenters, welders, shipchandlers and composite technicians & engineers. You may find your main contact at AAA Marine in the following brochure. Please note that due to the fact our main activity is in France, information in the brochure are displayed in French only. You may contact Claire LACHAT (address & phone number in the brochure) for specific information in English.